Selling a house can be a stressful experience, not to mention costly. In the past, people had to rely on their local high street agents to manage the process, but in recent years technology has made it possible to engage an online-only agent. 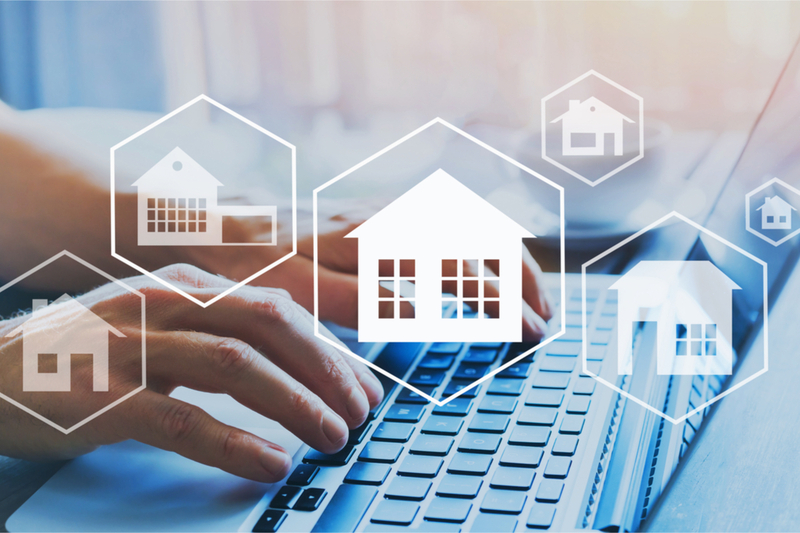 The popularity of this way of selling a home has been on the rise over the past couple of years, but as we have seen in recent reports the largest online estate agencies have hit hard times and it’s easy to see why. Here we look at why online estate agents might not always provide you with the savings many sellers expect, and why they simply cannot offer the same level of service and, more importantly, aren’t able to maximise the value of your home as effectively as a traditional high street estate agent. Even with the rise of online estate agents, the majority of those looking to move are uncomfortable selling their most important asset online without any face to face dealings with the agent responsible (if there is one). This is likely to be one of the largest transactions in your life to date and by doing this entirely online it could be detrimental to not only the sale price achieved but the way that your home is marketed to the right buyer. One of the biggest misconceptions of using an online only agent is that they will provide a saving on the cost of selling your home. Traditional estate agents will charge a percentage of the property’s selling price whereas an online agency will have a set fee, payable up front. However, there are several very good reasons that the cost of selling your home is lower than using a traditional estate agent. Most online agents leave a lot of the house selling work to you. Your home will be listed and you’ll receive information on prospective buyers. An online agent won’t be involved in the property viewings, conveyancing and the all-important negotiations. Depending on the online agency you list your property with, you may also be required to create your own property advert, respond to buyers’ questions, and monitor the sale process from the offers stage right through to completion. This process can be time-consuming and stressful, it also requires a level of expertise that you are unlikely to have. If your home doesn’t sell and you move to a high street agent you will still be liable for your selling fee to the online agency as this fee is paid up front and is non-refundable even if the agent doesn’t sell your home. So, as well as the fee to the high street estate agent you will still have paid the online agent – essentially paying two sets of fees. In addition, if your home doesn’t sell you will have found that your home has been over exposed to the local market and you are more likely to receive lower offers as you are perceived to be desperate to sell. Potential buyers reached through an online only agency won’t have been thoroughly pre-vetted like they are when we register people to our database. With a traditional estate agent, your agent will have spoken to the buyer interested in viewing your home to ensure they are in a position to proceed with an offer. We will also have a record of their solicitor details, financial circumstances and contact details. If we don’t believe a buyer is a serious prospect, we will not let them into your home. Local knowledge is essential when selling your home. A local high street agent will have a handle on recent sales in your area down to the very road on which you live and have an understanding of what is likely to sell in your area, the pricing, recent developments, and even potential buyers. This lack of local knowledge from online agents can seriously hinder the kind of help online agents can offer, and they will be unable to point out your property’s unique selling points. Although a traditional agent has set opening hours, this doesn’t prevent potential buyers seeing your home 24/7. With the presence of online portals and high-quality agency websites listing all property details of your property, it will still be visible at the touch of a button. With a range of social media channels, high street agents are now contactable outside of office hours and will either deal with enquires straight away or as soon as the office is open much the same as an online only agent. We have had several out of office enquires and they are dealt with in a professional timely manner. Potential buyers can be put off when they ask questions about a property and don’t receive accurate answers. A traditional estate agent will have seen your home, where it is, why you liked living there, why you are moving, what needs to be improved and what it’s unique selling points are. Although with an online agency you are free to conduct viewings and sell your property the way you want to, a high street agent is responsible for putting the house on the market, organising viewings, as well as, brokering the deal and are experts at doing this in the correct way. Our clients are interested in two things – getting the best possible price for their property and having the process handled from start to finish. That’s why we believe that online agents will never be a replacement for the traditional approach to selling your home.